One of the great names of Burgundy, Louis Jadot, also operates one of the most interesting estates in Beaujolais. In this profile I visit Château des Jacques estate in the ‘Cru’ village of Moulin-à-Vent. I have been a great admirer of these wines for a couple of years, writing of the 1999s: “the Moulin-à-Vents of Château des Jacques were real eye-openers, with stunning depth”. Also on the agenda was a visit to Jadot’s more recently purchased estate in another famous Cru, Morgon, called Château Bellevue. Finally, we would visit their larger, more industrial winery in which they make Négociant Beaujolais and Beaujolais Villages wines, sold under the Domaine des Jacques label. These can be found in many supermarkets. As one of Burgundy’s best-known names, the huge investment made by Jadot in the Beaujolais over the last few years has surprised many. 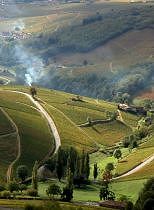 As a wine region, Beaujolais simply does not enjoy a reputation on – or anywhere near – a par with Burgundy’s Côte d’Or, just a hundred kilometres or so to the North. Beaujolais image is a tarnished one, with the occasionally exuberant, but more often plain dreadful, “Beaujolais Nouveau” having come to represent the region in the wine-drinking consciousness. But Nouveau – made in a desperate hurry to catch a fleeting marketing window in November each year – is far from typical of what the Gamay grape can produce.Winemaker for Jadot in the Beaujolais is the charming Guillaume de Castelnau. Guillaume is a very unlikely vigneron, who is both a retired Cavalry Major and blue-blooded nobleman – though his full title of Baron Guillaume de Curières de Castelnau is not something he advertises widely. This aristocratic and military background is surprising enough for any winemaker perhaps, but it is only after spending some time with Guillaume, and observing his animated and wide-eyed enthusiasm, that it seems even more incongruous: here is a passionate man, who seems to have been born with the pruning shears in his hands, yet who came to winemaking almost by accident less than ten years ago. Having retired from the army, Guillaume was asked to take over the running of a small estate in Meursault in 1994. Though he was born in Burgundy, Guillaume knew next to nothing about winemaking. Clearly, the owners of the estate saw his managerial and organisational skills as a top priority, and put him in charge. His brief was to improve quality and modernise their vineyards and winery. Guillaume worked with some great winemaking mentors over the next few years, including Jean-François Coche-Dury and Henri Jayer, the maestro of Vosne-Romanée. 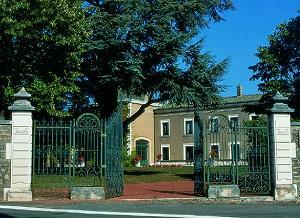 In 2000, Louis Jadot made the bold move of purchasing the Château des Jacques. de Jacques is one of the greatest names in Beaujolais, but it was also an estate that was rather treading water at the time. Guillaume was effectively head-hunted; given the challenge of working his magic again, to revitalise the domaine, and rediscover the potential of both the Gamay grape, and the terroir of the Chateau’s vineyards in Moulin-à-Vents. Château des Jacques today is a beautiful old building, with wonderful vaulted cellars beneath the house and a more modern winery attached. 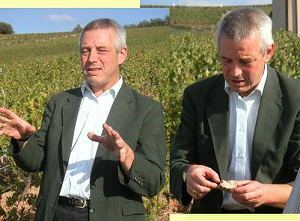 The essential work that Guillaume has done here (and at the Château Bellevue, added to the Jadot portfolio in 2001) is to reverse many changes that have damaged Beaujolais over the past few decades, and to introduce many classic Burgundian techniques.The reversals started in the vineyard, where he has drastically reduced the use of chemical fertilisers and herbicides, and is moving towards full biodynamic status. Guillaume talks passionately about the history of Beaujolais, and how a shortage of labour following the 1st World War meant agricultural practices changed, with much more use of machines and chemicals. Now, his mission is to restore balance and vigour to the earth. The new Burgundian order of the day includes the introduction of hand-harvesting and careful grape selection in the field, and there is no bubblegummy Carbonic Maceration here, but cold soaking of grapes, fermentation with wild yeasts in open-top tanks, and long ageing in small oak barrels. It is fair to say that between them, Jadot and Guillaume de Castelnau have brought about a revolution in Beaujolais. After initial scepticism and even some hostility from neighbouring estates, many of the better Beaujolais houses have woken up to the fact that not only do the Jadot wines taste better, but that crucially they are selling for more money too. It has to be remembered that as recently as 2002 some 13 million bottles of 2001 vintage Beaujolais was declassified and sold off for industrial use, or simply poured down the drain. Falling demand, and a global glut of red wine, meant the market for Beaujolais outside the last week of November when the Nouveau circus comes to town, had simply dried up. 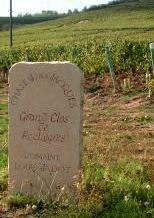 Perhaps history might judge Jadot and its influence on Beaujolais not just as revolutionary, but even as its saviour. On the final day of my trip I cycled through the vineyards with Guillaume – a lovely experience on a warm autumn morning. We found a little vineyard in Moulin-à-Vents that they had forgotten to pick a few weeks earlier. From the vine, the grapes were absolutely tiny, pea-sized bullets, but were extraordinarily sweet – much sweeter than the Zinfandel I had pinched from Mondavi’s vines in the Napa just a fortnight before. What a lovely region it is – picture postcard French vineyard country. This was a trip full of interest on many levels. First, the 2003 wines are going to be exceptional, that is completely without a doubt. Whether they are exceptionally good, or just exceptional, is another matter. In April 2003, a devastating storm ripped through Beaujolais, more or less centred on the hillsides of Moulin-à-Vent. Guillaume showed me the golf-ball sized pock marks on trellis posts from hail that hammered the vineyard. He lost 100% of some clos vineyards, and an average of 40% throughout the estate. Then came the drought of mid-2003, where development of grapes almost ceased, so the berries were tiny. They did mature eventually however, and sugar and acid levels are excellent.At Château des Jacques, Guillaume showed me the 21 tanks used for the Moulin-à-Vent “Grand Clos” wines (the Grand Clos are a super-premium range of five separate single vineyard Moulin-à-Vents). Only five tanks were being used this year. Indeed, some of those held only around half a metre of grapes at the bottom of a four-metre-tall tank. This was no marketing spin: yields in 2003 really were exceptionally low. The wines from tank were extraordinarily concentrated, fleshy and full for Gamay, with amazing sweetness and texture. These could be amongst the best Beaujolais ever produced in my opinion, though whether they will be typical, or will age well, is difficult to guess. As an indication of this, some have 15% of alcohol in the bottle. I would not hesitate to advise any wine lover to try these wines – and to serve them blind to Beaujolais sceptics. The tasting begins with the “Clos” wines, including two from the extraordinary 2003 vintage, tasted from barrel in the cellars. Most of the production goes into their “straight” Moulin-à-Vents, which is quite widely available, and sells for around £10, with 30% new barrels used for maturation. The Clos wines see 100% new oak, and are produced only when the quality of the vintage is good enough. These “super-Beaujolais” are in independent merchants at £15 or so. Please note: the 2002 and 2003 wines are not yet available in the UK. For information on reserving these wines “en primeur” contact Jadot’s UK Agent, Hatch-Mansfield. From a vineyard composed of lots of quartz in the ground. Deep, intense, vibrant plum red. Fantastically concentrated nose, with a floral, violet edge to deep, rich, blueberry fruit. There is a just a hint of earthy, peanutty quality too, before a palate that is just flooded with svelte, thick, luxurious fruit. The tannins are tight and focused, and there is a soft, but noticeable acid balance. Amazing length, and a mind-blowing introduction to these wines. Excellent/outstanding. From one of the oldest vineyards, planted on sandy soils, this has a deep, crimson/purple colour. It is just so aromatic on the nose, with dense, soaring, mineral and high, banana and ripe blackberry fruit. On the palate it is extremely sweet-fruited and opulent, with a dry tannic grip tugging away beneath, and a leathery concentration of fruit, but it has amazing depths, with layered density of sweet, bursting black fruit. Masses of extract yet seems to also have the balance. Extraordinary and Excellent/Outstanding. The regular Moulin-à-Vents 2002 has a medium density, but vibrant colour. Slightly raw oak at present, with lots of vanilla and marzipan. There is a touch of briar too, and an earthy berry fruit beneath. On the palate quite a fleshy texture and good depth of fruit, though difficult to assess in a slightly disjointed phase. Potentially very good indeed (the 2001 was stunning – a former wine of the month, £9.99-10.99. The sub-soil here is granite, but deep, friable layers. It has a warm, deep, ruby colour and again, a layering of youthful vanillary oak, with caramel and fudge. The fruit is soft and ripe, and on to the palate has a lovely clean, vibrant quality. A very elegant, sweet-edged mouthful of red fruits, but with a roughening hint of earthier depth, with rich, ripe tannins and good acid balance. Powerful and long, this is very good indeed. Perhaps a little more vibrant in colour, and a touch more toasty and coffeeish on the nose, with earthy, brackeny notes and good, ripe red fruit. This has fine quality, with the palate really rounded and supple, with fruit and silky tannins already nicely melded. There’s a real sense of sweet fruit at the core of this, though that oaky influence emerges again in the finish. Long and excellent stuff, that needs time. Better in five years I’d guess. This vineyard is just below the eponymous landmark windmill of Moulin-à-Vents. It has a bright colour, with a little hint of pink at the rim. The nose is spicy and toasty, with lots of soft, inviting strawberry and raspberry fruit, and a briary, earthy character beneath. The palate is cedary, with a real mineral streak. Structured and dense, the fruit is bold and rich, and this stays very composed into a long finish. Excellent. One of the most complex, layered vineyard soils here. Quite a deep, purple colour, and a real smoky quality on the nose, with some toast, but integrated well with violet-ting to the fruit. On the palate ripe blackberry and redcurrant fruit seems very deep and concentrated. Massive tannins coat the mouth, drying the tongue to counteract that explosive fruit quality. Long and extremely impressive, this is excellent. Quite a dense crimson/purple. Bold, solid, dense black fruits on the nose, with mellow coffee and toasty notes supporting and hints of juicy black cherry. Nice integration and harmony on the palate too, with more of that black cherry fruit that is persistent and pure through the mid-palate. Big gripping finish, with plenty of tannic backbone and a core of acidity keeping the picture fresh. Excellent. Some older Clos wines, from bottle. There was no 2001. Warm, dense, ruby/purple colour. Already a lovely sense harmony and unity about this wine, with deep, smoky, mellow autumnal fruit on the nose and hints of minerality. The palate is cool and elegant, with an underpinning espresso notes to sweet damson and cherry fruit. Lovely refined tannins and good balance. Good length too, and very good indeed/excellent. Quite a dark purple/black, but lightening at rim. Gamy, truffly, autumnal nose with berry fruits and a deep-set supporting oak. Real lip-smacking, rounded, full-bodied weight on the palate, with lots of mellow berry flavours and lovely weight and purity into the finish. Very good indeed/excellent. £15-£16. Slightly warmer colour, with a tighter, more floral nose, with hints of minerals and crisp cherry fruit. Terrific elegance and precision on the palate; a very supple, nicely-weighted red fruit character with nuances of mineral flavours and structured tannins and acidity. Quite powerful, but maintains its elegance into a long finish. Very good indeed/excellent. £15-£16. Having taken over the estate in 2000, Jadot would have been responsible for the elevage of the 1999s, but would have played only a small part – if any – in the 1998 vintage. This has a deep, warming ruby colour and a slightly danker nose than the younger wines: much more undergrowth and vegatility. The palate is actually very nice indeed, with plummy bittersweet fruit and plenty of richness. The tannins are mellow but well-balanced, and the finish is long. Very good indeed. Quite a dark purple/ruby colour. Really deep-set, harmonious nose, with a background of warming oak and a mellow nose of cedar, berries and a hint of tobacco. The palate is cool and svelte, with blackcurrant fruit and a spine of raspberry giving a more tart edge. Good tannins and acids, and a little vegetal complexity into a good finish. Very good indeed. A touch of sulphur on this at first, with keen red cherry and red winter berry fruit. Firm tannins; quite lean and muscular, perhaps lacking a little fruit but with good power and length. Very good/very good indeed. Château Bellevue in the Cru Morgon fared a little better in 2003, but still yields were down by over 50% on 2002. The 2002 wines tasted were cask samples. Medium crimson colour. There is an overlay of marzipan and nutty oak at present, with refined red fruit beneath. Very elegant on the palate, with raspberry and redcurrant, and a classy cedary edge. Lots of fresh, crisp acidity and fine, but grippy tannins. Poised and collected, and very good indeed. Bright, deep, purple/crimson. Perfumed, with a slick of spicy oak, but plenty of floral and kirsch-like notes, and cherry fruit. On the palate lip-smacking raspberry and cherry bittersweet fruit, that has a dense, dry, earthy character too and a tight, quite lean tannic structure gripping the finish at this stage. Very promising, and very good indeed/excellent. Lovely lightness of colour, with bright ruby at the core. The nose is quite deep and warm, with a smoky character, and light toasty oak, a mineral edge and plenty of leathery, earthy fruit. Delightful. The palate is quite creamy textured, and very powerful, with lots of cedary, dense red fruit and a tightly-packed tannins. Good length and concentration, and very good indeed/excellent. On the final night of my trip we had a brilliant dinner in Le Cep in Fleuri, accompanied by magnums of Château des Jacques going back to 1987. These proved their absolute class as food wines, with good ageability. With those recent memories of unsold wine being dumped down the drains, nature has helped Beaujolais in 2003 in some ways: there certainly won’t be over-production. But on the other hand, there is already talk of prices rising. Whilst these 2003 wines are quite exceptional (and should be snapped up by enthusiasts), any price increases might be another nail in the coffin of “Nouveau” and middle-of-the-road “generic” Beaujolais in the UK market. I’d say, if you get a chance to try the 2003 Cru Beaujolais of Jadot, then do not miss it. No, they are not “typical”, and no, they are not Beaujolais as you might know it. But who cares: these are brilliant wines amongst a sea of mediocrity. Here is one case where I will happily sacrifice a little tradition and typicity in favour of real quality. The wines of Louis Jadot are handled in the UK by the Hatch-Mansfield Agency, whose web site lists stockists.